Nothing brings out the best in a songwriter like a partnership with just the right amount of creative tension. Just ask Paul McCartney, whose long friendship — and rivalry — with John Lennon produced some of the greatest songs in rock ‘n’ roll history. McCartney looks back on their complicated relationship in an excerpt from Paul du Noyer’s new book, Conversations With McCartney, printed in the current issue of MOJO. As McCartney tells it, the competition between the two kept going well beyond the breakup of the Beatles, and may have even been responsible for spurring Lennon back into action after the five-year hiatus that followed his “lost weekend” period. 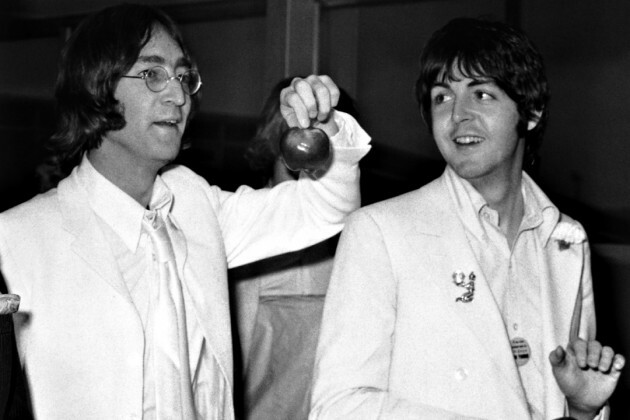 Paul McCartney looked back on his rivalry with John Lennon in September 2015 interview.